This Starbuzz Coconut charcoal comes in a box of ten 40mm rolls with 10 pieces each equaling 100 pieces. These are Quick Light shisha coals for hookah pipes that can be lit with a torch lighter or open flame. 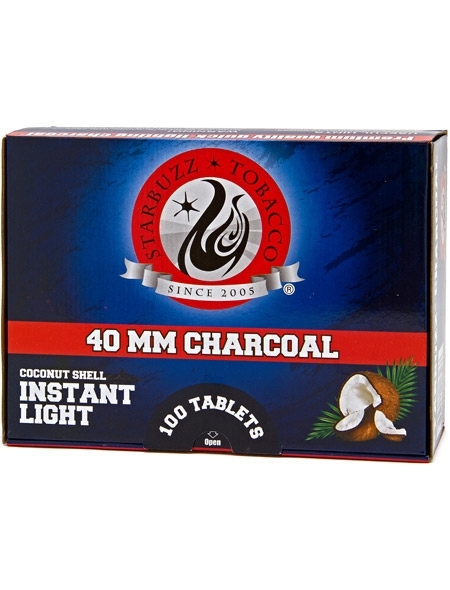 Starbuzz Coconut charcoal supplies your hookahs with 40-50 minutes of burn time per coal. These Easy Lite accessories and parts have a chemical that allows for the instant lighting of your coals.